Even though the 2018 Winter Olympics in PyeongChang, South Korea, are taking place extremely close to North Korea, the nation led by Kim Jong Un wasn’t guaranteed to compete. 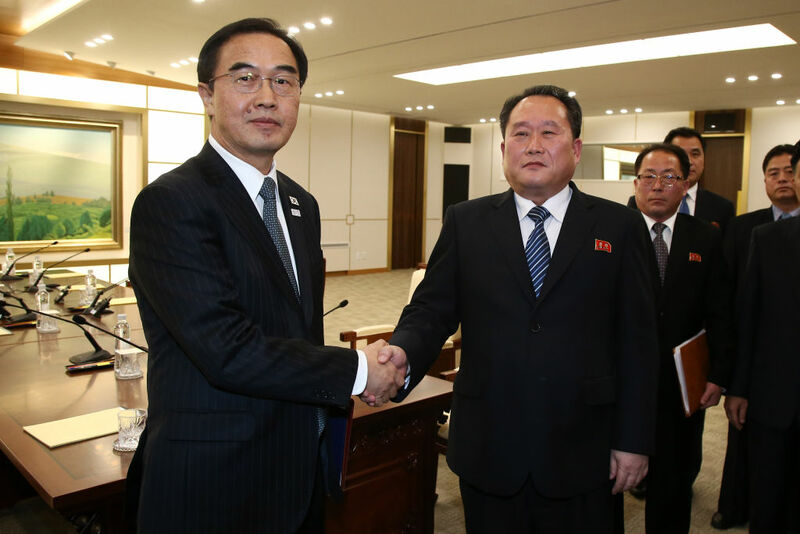 Yet with a month to go until the games, the Olympic host nation of South Korea held talks with North Korea about the latter nation’s involvement. Through these discussions, North Korea may be sending athletes to the Olympics. And the North Korean Olympians who are most likely to participate in the games are two figure skaters. So while it seems likely that they will have the honor of representing their nation, Ryom and Kim are guaranteed to be under an immense amount of pressure at the 2018 Winter Olympics. Ryom and Kim were born in the capital of North Korea and have been a pair for three years. Their primary coach is Kim Hyon Son, but Canadian Bruno Marcotte recently coached the pair. “I didn’t (have to) think about it,” Marcotte told Reuters, discussing when Ryom and Kim approached him in March 2017. “The way they approached me was very friendly, very genuine.” They trained with Marcotte in Montreal for two months in the summer and Marcotte noted how they would hug him after every practice. "It was very personal, very affectionate," Marcotte said. "They were not afraid to show their emotions." Canadian pair skater Meagan Duhamel, who is married to Marcotte, tweeted — after the announcement that North Korea would be sending athletes to the Olympics — about how much they enjoyed training Ryom and Kim. Of course, due to politics, there’s an interesting backstory when it comes to these North Koreans training in Canada. Marcotte told Canada’s Global News that he had to make all of their arrangements in Canada, since both skaters don’t have credit cards or driver’s licenses. They were also accompanied by their North Korean coach and an English-speaking representative from the North Korean skating federation. Yet Marcotte noted that Ryom and Kim wanted to be viewed as what they are: athletes. “Every time I spoke to them, they always made sure that they never wanted me to feel and confuse politics with sport. And they always wanted to make sure that I saw them as sportsmen and not as political representatives,” Marcotte said. "Really they're a crowd favorite, very fast. They're so expressive that the audience just connects very well with them. They have a lot of charisma on the ice, that's for sure." Although The New York Times wrote that Ryom and Kim aren’t expected to medal at the Olympics if they do compete (the NYT also wrote that it’s unlikely that other North Korean athletes will qualify for the 2018 Olympics), their participation could help ease tensions between nations, CBC News wrote. As the South Korean host city of PyeongChang sits only 50 miles south of the demilitarized zone (DMZ) that separates the country from North Korea, it’s for the best that North Korea and South Korea came to terms with the Olympics during a January 9th meeting at the Korean DMZ. It will most likely ensure a peaceful event, which is especially important considering North Korea has heavy artillery located at the border, which is pointed at South Korea. For fans of the athletic feats at the Olympics, the most notable aspect might be that Ryom and Kim deserve to be in the Winter Olympics for all their hard work and skill, regardless of where they are from. As Marcotte told CBC News, “This is a good team. A team that earned the right.” And while we’ll have to wait and see for IOC’s official ruling, Ryom and Kim are likely to take to the ice when the 2018 Winter Olympics start on February 9th.